Russia stopped celebrating the anniversary after the 1991 collapse of the Soviet Union, but the Communists continue to honour the date. Foreign communists walked shoulder to shoulder with their Russian comrades and voiced their support for change. The government’s reluctance to recognise the still-polarising event reflects deep divisions over the revolution in Russian society. 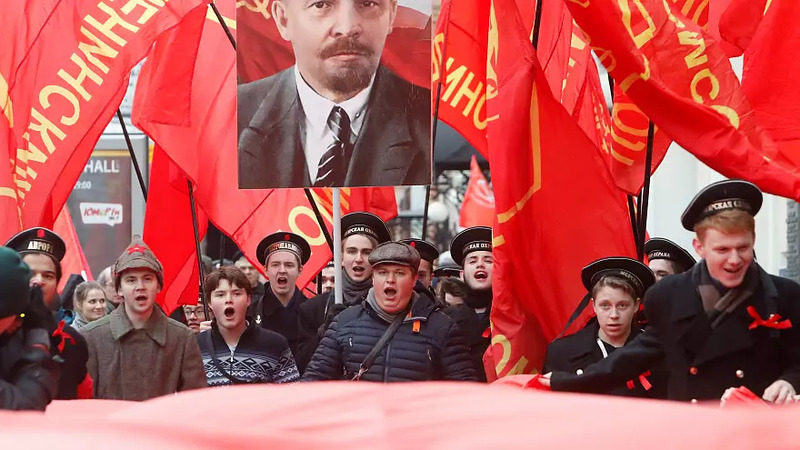 “According to one of the latest polls dedicated to the 100th anniversary of October Revolution, most Russians are for changes, but with the help of evolution. But more than 90% of participants are against any new Revolution,” says Galina Polonskaya, Euronews correspondent in Moscow.